With icy and dangerous roads, it is good to have a vehicle you can depend on. The vehicle needs to be a smooth ride, easy to handle with the capability to do what you want it to do. The 2018 Chevrolet Silverado fills this description perfectly. Among the best pickup trucks available in the USA, this there’s not much this vehicle can’t do. To showcase its capability, we’ve compared it to one of its closest competitors, 2018 GMC Sierra on the basis of cargo, acceleration, ride and handling, towing and safety. We at Ron Westphal Chevy look forward to seeing you when you do make up your mind. 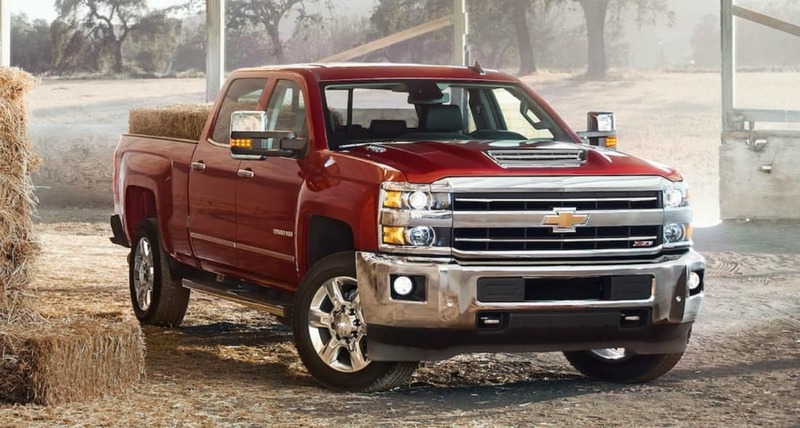 There are many features of the Silverado that make it easy to handle irrespective of whether or not you’re pulling or carrying a huge amount of weight. Equipped with a hill start assist, you can drive in hilly areas without the danger of rolling back. It also has the StabiliTrak with Trailer Sway Control ensure the stability of not only your truck but also the trailer you may be pulling, making the vehicle far more secure. Another feature of this vehicle is the tow/haul mode. To help you keep an eye on what you’re trailering, this vehicle also has trailering mirrors as well as an EchoMaster Trailering Camera System that helps keep your cargo safe. On the other hand, the 2018 GMC Sierra lacks any distinct features made to help with ride and handling. One of the most important features of any truck is its towing capability. If a truck cannot pull massive weight, then there is no point in buying it. Fortunately, the 2018 Chevrolet Silverado has a massive towing capability, with it being able to pull up to 12500 pounds of weight. Apart from this, the Silverado can also a maximum payload of 2250 pounds making it a very impressive vehicle.The 2018 Chevrolet Silverado’s cargo space both inside and outside the crew cabin make it an ideal vehicle. With a maximum cargo volume of 53.40 ft3, this massive vehicle can carry an immense amount of cargo. Even inside the crew cabin, you can fit a lot of cargo. You can even fold the rear seats to increase the amount of cargo space if so required. There are three engines available for the 2018 Chevrolet Silverado and all of them are very powerful. The most powerful engine of the lot is the 6.2L EcoTec3 V-8 Engine that leaves all its competition biting the dust. Not only does is give 420 horsepower but also 460lb. ft. of torque. This engine gives a 0-60 of 5.7 seconds, beating its competition thoroughly, especially the 2018 GMC Sierra whose 0-60 is 6.6 seconds. This acceleration definitely gives the Silverado the edge in 2018 Chevrolet Silverado VS 2018 GMC Sierra. 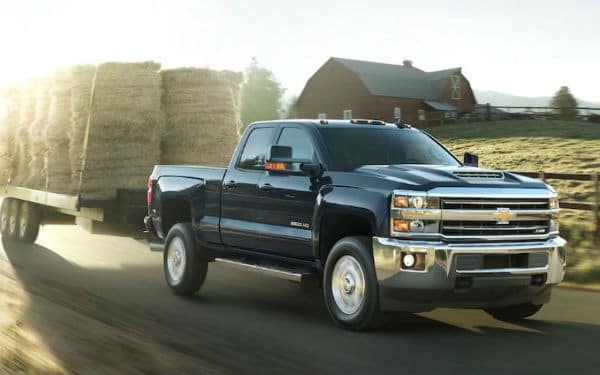 The Silverado has various features to ensure your safety as well as to keep your family safe. Apart from its high-grade build and standard 6 airbags, it has many other features for instance forward collision alert, a rear vision camera and lane keep assist with lane departure warning, low speed forward automatic braking, as well as a rear and forward park assist and safety alert driver seat. Also available is the OnStar technology that includes crisis response and advance crash notification system. The Sierra lacks most of these features including vital features such as the safety alert driver seat and lane keep assist. The 2018 Silverado also comes with teen driver technology that assists new drivers with driving safely. This feature is also missing from the Sierra and puts the 2018 Chevrolet Silverado VS the 2018 GMC Sierra thoroughly in the former’s favor. Ron Westphal Chevy’s commitment to its customers is unmatched by all other dealerships and showrooms. Our entire customer service is dedicated to making things easier for you when you purchase a vehicle or approach us for any type of service. Our excellent staff and quality of services rendered are unmatched. Apart from this, what makes us better than our competition is our dedication to doing everything we possibly can for you. From astounding discounts, free pickup and delivery, a huge collection of cars, amazing specials, and our commitment towards the improvement of society, you will be unable to find a dealership that does as much for its customers as we do. We hope that you choose us.